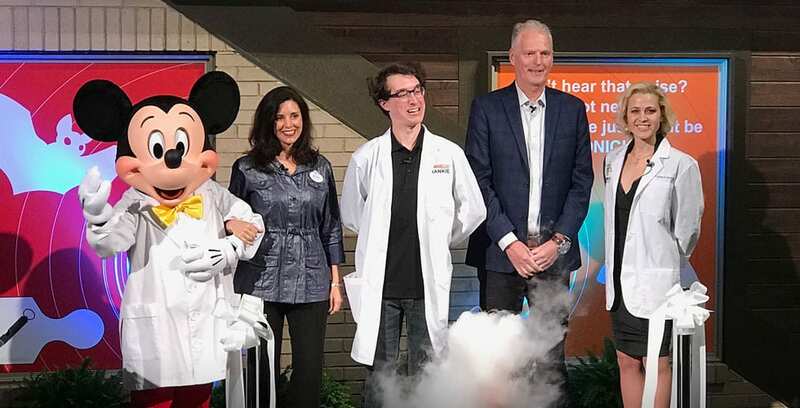 Innoventions at Epcot returns to education through entertainment with the premier of the new SpectacuLAB show. Located in Innoventions East next to Colortopia, this brand new show highlights the fun and power of science. Every day real scientists, joined by intern Frankie, will showcase the science of ultrasonic pressure, barometric pressure, acceleration and force. Frankie is working as an intern at The SpectacuLAB, and it is his first day on the job. Much like the audience, Frankie is learning many of the different forces and laws in science. 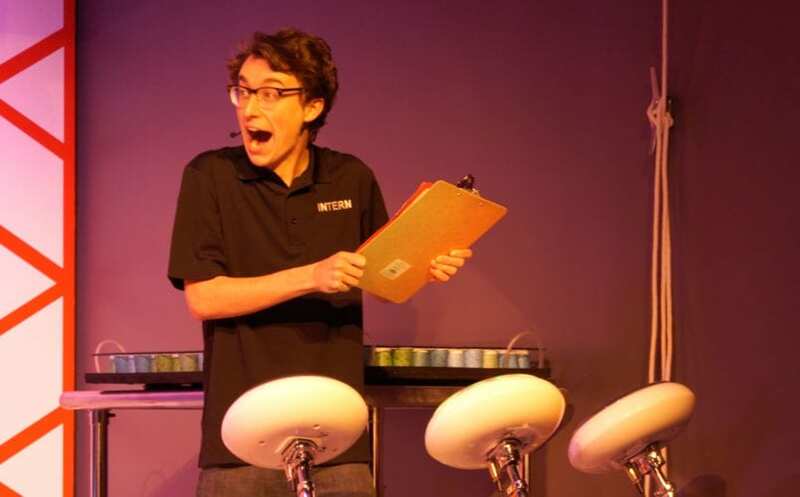 From playing with ultra-sonic drums, to testing atmospheric pressure, Frankie is the comedic host that runs the show. Each show will also showcase real world scientists, thanks to a partnership with Science from Scientists. 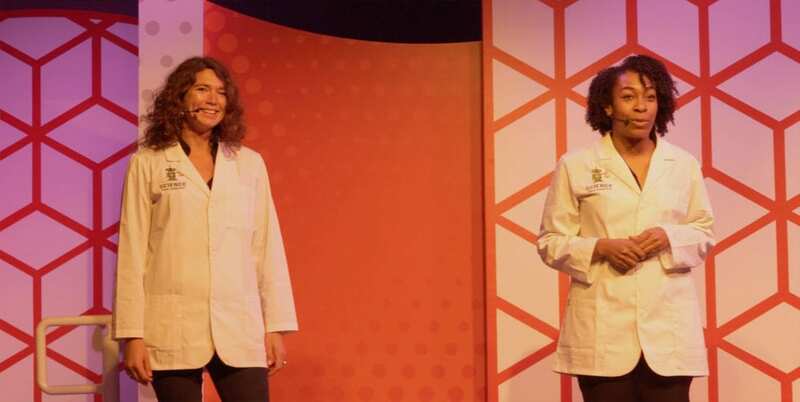 These scientists work three to four days at Epcot and their other days out in their respective fields. Our scientists today were Montana, left, and Najja, and they demonstrated numerous scientific principles with children and Frankie. 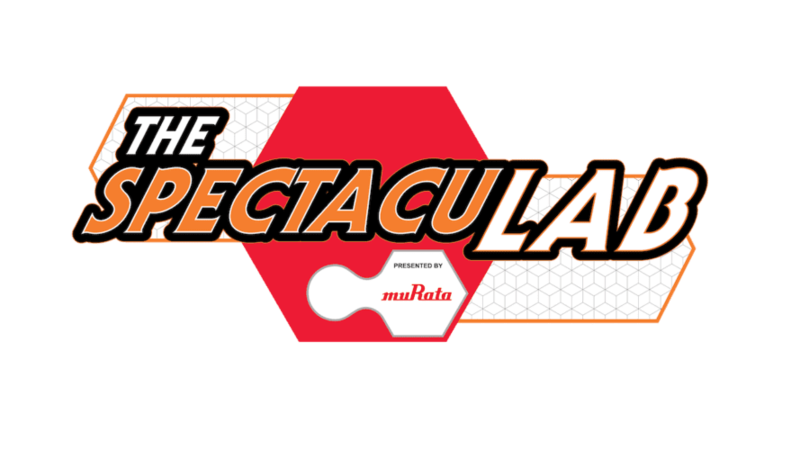 The SpectacuLAB is a recurring show at Epcot, with showtimes each day at 10:30 a.m., 11:45 a.m., 2 p.m., 3:15 p.m. and 4:30 p.m.